We customize designs with you in mind! 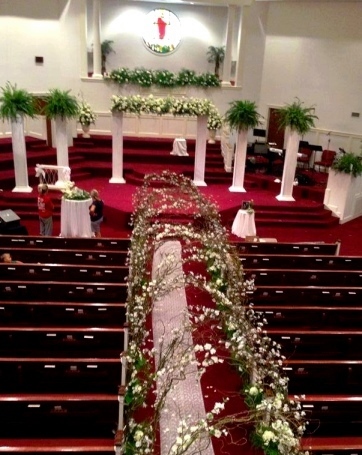 Proudly serving the area since 1960, Atmore Flower Shop is a local Atmore, Alabama florist delivering courteous, professional service and the highest quality floral and gift items around. 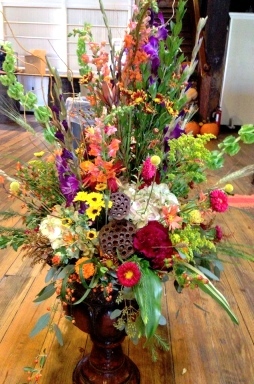 Our talented designer is a FL State Master Designer and won 1st place in Florida State Florists' Assoc. design contest. Specializing in premium Roses, we create floral arrangements that will complement any occasion and meet your budget and style expectations as well. We also offer daily delivery service to all local funeral homes and hospitals. Our beautiful selection of high-quality fresh flowers and eye-catching design styles are sure to bring rave reviews on your wedding day or at any festive function - large or small. Engagement Parties, Rehearsal Dinners, Drop-ins, Receptions, Plant Rentals, Seasonal & Holiday Parties, Service to Homes & Businesses, Special Events, Reunions, Banquets, Corporate Events, Bridal Showers, Baby Showers, Homecoming Mums, Custom Prom Corsages and any other event you plan. Call our shop in advance at 251-368-2538 to schedule your consultation. Call or stop by our shop in Atmore, Alabama. Choose from our nice selection of Green Plants, Blooming Plants, Dish Gardens, Tropicals, Fruit Baskets, Gourmet Baskets, Gift Baskets, Baby Gifts, Candy, Chocolates and Greeting Cards. Home Decor, Seasonal Accents, Scented Candles, Holiday Decorations, Ornaments, Silk Floral Designs, Dried Flowers, Custom Wreaths, Plush Stuffed Animals and more! Call or visit us today… we look forward to meeting you! 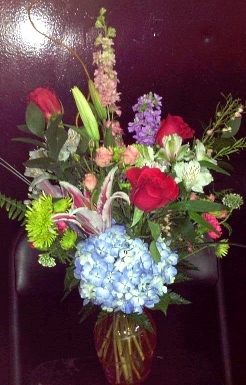 Thank you for visiting our website for flowers delivered fresh from a local Atmore, AL florist and easy online ordering available 24 hours a day.